Once a primary tool for real-estate agents looking to sell a home, experts say the traditional open house has lost its influence in the Internet age. Nearly 96% of buyers search online for homes, while only half that number visit open houses, according to a 2017 report from the National Association of Realtors (NAR). And open houses almost never used as a first step to a home search: 35% of buyers start their search online while just 4% start at open houses. Online listings are now the most popular source for finding a home, followed by real estate agents, according to the NAR. Open houses are inefficient for buyers, homeowner, and listing agents. When hosting an open house, homeowners and their families are displaced from their homes for 2-4 hours usually on a Sunday. Their agents are forced to allocate an equal amount of time to hosting the event and waiting for what is typically more likely to be nosey neighbors as opposed to qualified prospective buyers to show up. The vast majority of today’s buyers are interested in efficiently managing their home search and making the most productive use of their time. These buyers conduct their preliminary research at home — reviewing online photos (The Importance of Real Estate Photos), virtual tours and a home’s layout — and arranging for private showings of the properties they’re interested in. In addition to listings, other information such as comps (the prices similar homes nearby sold for), property taxes and the school district the home is located in can also be easily found online. Years ago, buyers had to visit open houses or speak with a real estate agent to get collect this information. Open houses simply do not produce viable buyers. According to the NAR, just 5% of homeowners report finding the home they purchased from an open house sign. Meanwhile, 40% said they found their homes online and 35% said they learned about the home from a real estate agent, again according to the NAR. For their part, roughly two thirds of agents say open houses don’t result in sales. Open houses, as the name implies, are open to whoever wants to attend. In the rare cases when an open house produces an interested buyer, the likelihood of that person qualifying for a mortgage is slim. The reason: Open house attendees are rarely screened. Since the housing downturn began, most real estate agents have been urging their clients to find out what kind of mortgage they can get approved for before they start searching for homes. That way, buyers won’t waste time making offers on homes that they ultimately can’t qualify for or afford. There’s no way the listing agent can know if every person who walks into the door is qualified to purchase the home. Attorney’s recommend buyers work with an exclusive buyer’s agent who makes sure the buyer’s best interests are protected when they go into contract and closing. Typically, the buyer’s and seller’s agents will split the commission however, it is the listing agent that offers a commission to the buyer’s agent and thus AS A BUYER YOU DO NOT PAY THE SERVICE YOUR BUYER’S AGENT PROVIDES AND THE SERVICE IS FREE TO YOU. But if a listing agent shows a buyer an open house, that person could claim that he or she is the procuring cause of the sale and refuse to honor the commission offer and compensate your agent. At an open house, just by walking in the door on their own, buyers create the potential for a commission dispute. To avoid complications, buyers should establish a relationship with a buyer’s agent before house hunting begins. 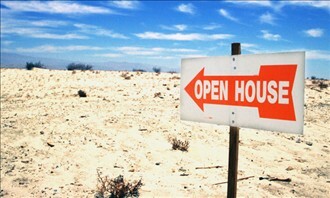 Ideally, buyers and their agent will visit open houses together or schedule private showings. Barring that, buyers should tell the open house listing agent that they have their own representation, then provide that agent’s name. Otherwise, if the seller’s agent refuses to share the commission, buyers could be stuck making a difficult decision: paying for a buyer’s agent out of pocket (since the listing agent would be getting the entire commission) or proceeding with the listing agent who could take on a “dual agent” role. State laws vary, but most states will allow a listing agent to become a dual agent. The dual agent would be prohibited from negotiating the purchase price or terms on the buyer’s behalf.